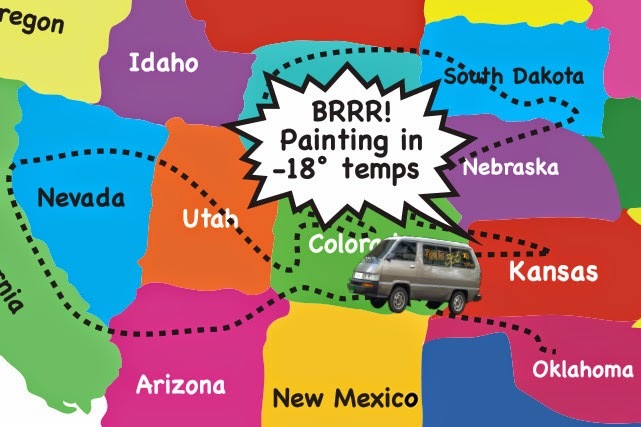 The World's Largest One-Man Plein Air Art Show! Plein Air 365 x 5, an exhibition and sale of the 2,014 paintings created by pleinair painter, Ted Garcia, during his five-year journey of painting daily from January 1, 2009 thru July 11, 2014. In January 2009, Ted Garcia challenged himself to paint plein air every day. For five years (2,014 days exactly), he continued his daily commitment facing the challenges with discipline and perseverance which come with a commitment of this magnitude, along with blizzards, heat waves, illness, deaths, births, impalement, wild animals, and even losing his way, finding his way, and surviving an earthquake to complete this journey. Now he started a project on indiegogo to be able to keep this positive moment going!